Our YouTube training videos are created to help anyone from hobbyists to professionals. We currently have 3 main series, NextWaveTV, Cine Tips, and newly launched HDSLR 101. NextWaveTV recently got an update and we are in the process of updating Cine Tips. 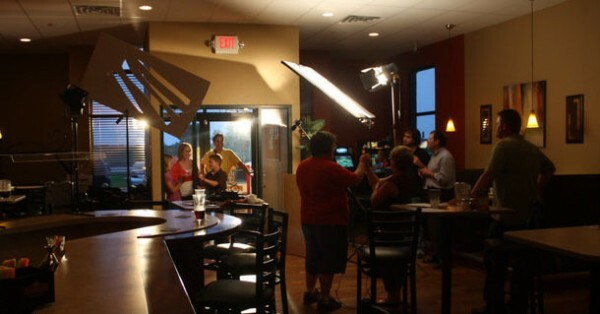 We are also working on a series for post production training. But we want to create videos that meet the needs of our viewers. On the right column, you will see two polls. 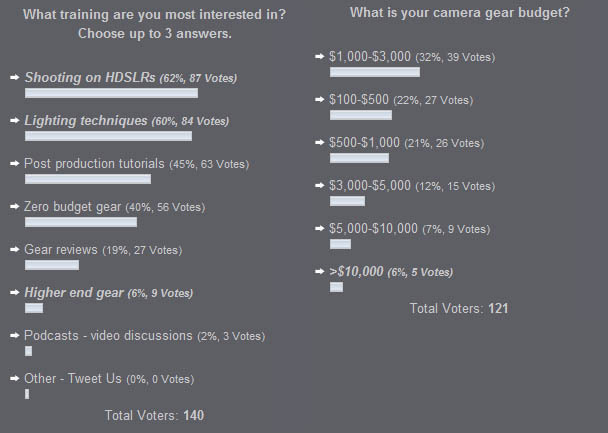 One asks what type of training you are most interested in and the other asks what your personal budget for camera gear is. This is the total amount you’ve invested in camera equipment; i.e. camera, tripod, lenses, lights, microphones, etc. This will help us know what the typical budget of our viewers are and know how often to pull out our higher end gear for training. This doesn’t mean we intend to dumb down our training, just simply look for more inexpensive options when the opportunity arises. So please click on the polls and let us know what you guys need.